Take this quiz to see how your retirement preparation stacks up in 9 key areas of retirement planning. Answer each statement and total up your score. You'll get instant feedback on retirement planning areas that need more attention--and the ones where you're doing well. Take this free Retirement Quiz now! 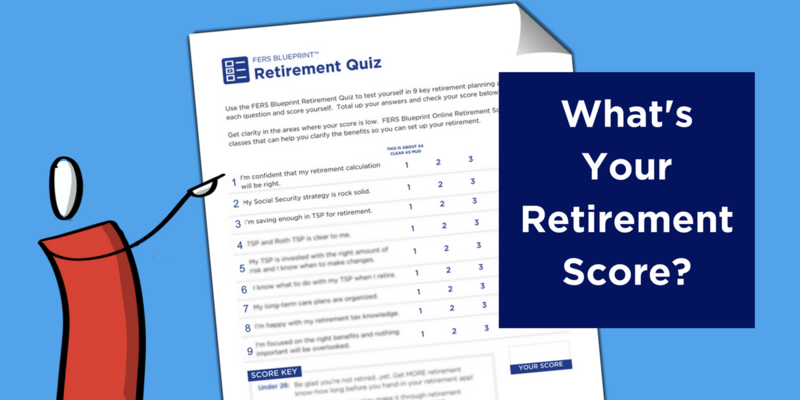 Take the FERS Retirement Quiz! Will you be ready to retire? Take this free Retirement Quiz to assess your retirement preparedness in 9 key areas. It’s free! Take the Quiz now!